Two of my favorite musicians – plus one of this era’s best guitar builders – are all featured in the Fall 2010 issue of The Fretboard Journal which landed in my mailbox last week. Let’s begin with those musicians. I’ve been listening to New Grass Revival founder Sam Bush (on the right in the picture by Thomas Petillo at the top) since about 1973. A few years later I began to hear Hot Rize member Tim O’Brien in a number of venues. 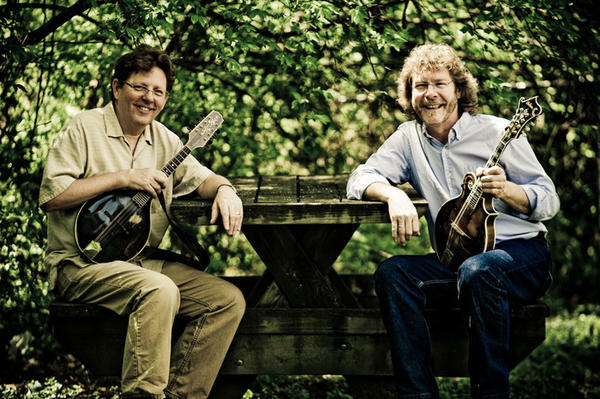 Both are multi-instrumentalists who have stretched the boundaries of bluegrass since coming on the scene. The Fretboard Journal has a laid back yet informative “conversation” between Bush and O’Brien as the cover story of the most recent issue. The topics are wide-ranging, from playing with jazz pianist Bill Evans at the Blue Note to the night when Bush and Mark O’Connor joined the Hot Rize alter ego band Red Knuckles and the Trailblazers for a set. When the conversation turned to hearing someone for the first time, my mind went back to the first time I saw Bush and the New Grass Revival. It was probably around ’72 or ’73 at Nashville’s old Exit/In (which has gone in and out of business numerous times and is now a rock club). NGR was playing with Vassar Clements that night and I still remember a 20-minute version of Lonesome Fiddle Blues when Sam and Vassar were smokin’ on twin fiddles and strings were breaking right and left. I thought, “these guys are playing rock music on bluegrass instruments” and that’s pretty much what NGR was about at that time. The Exit/In was like that. In a two-three year period while I was in college I saw Doc Watson (for the first time), NGR (two or three times), Buddy Rich (my brother Steve was a big jazz fan), Barefoot Jerry (for a New Year’s Eve show), and Steve Martin twice…and that’s just what I can remember from visits to the Exit/In. The guitar builder is Michael Millard, who is celebrating 40 years of building Froggy Bottom guitars. My friend Oakley Pearson has a beautiful Froggy Bottom that he bought several years ago, and I have always loved playing that guitar when we visit Margaret and Oakley over Thanksgiving. Quite simply, it is a beautifully balanced and easy to play gem! When Peter Ostroushko visited the Shenandoah Valley to play the Oak Grove Folk Music Festival one year, he borrowed Oakley’s Froggy Bottom and played it for the entire weekend. In the hands of a master, it sounded sublime…but it sounds very good even when Oakley and I play it! 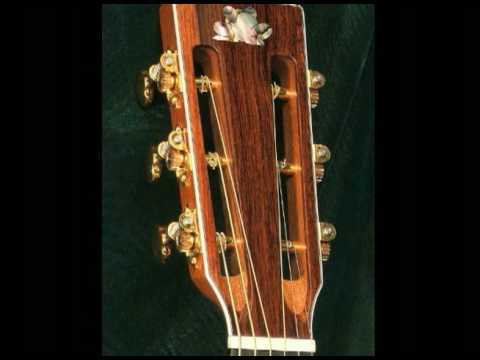 I found a video on YouTube of a guitarist playing two different Froggy Bottom guitars, so I’ve imbedded it here for you to enjoy. There’s more to read in this issue of The Fretboard Journal which is par for the course. Check out the web site or – better yet – go to your local bookstore and buy a copy. Nineteen issues into this magazine, the editors still get it right just about every time.